Liverpool goalkeeper Alisson Becker has called on his teammates to learn from their "moments of insecurity" against West Ham on Monday, as the club looks to win their first league title since 1990. The Reds dropped two points against Manuel Pellegrini's Hammers earlier this week, which cut their lead at the top of the table over Manchester City down to just three points. 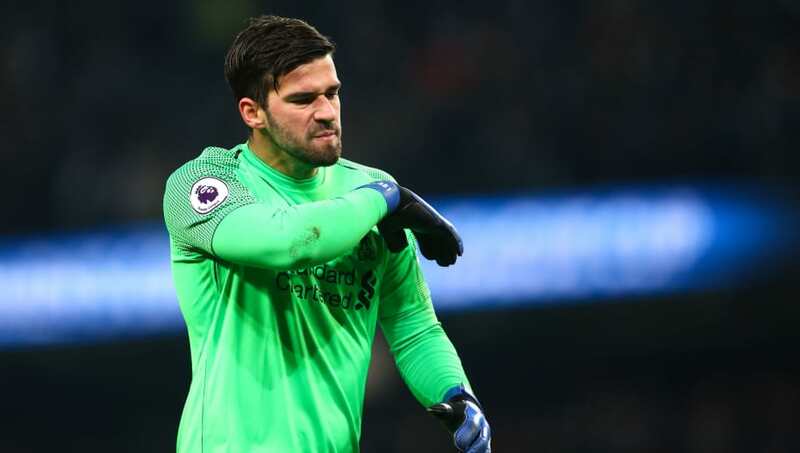 Alisson admits that Liverpool weren't at their best as they threw away the chance to go five points clear at the top of the table, insisting that their performance at the London Stadium has to be a learning curve for them. "I believe we had glimpses into the game. Some moments of insecurity," Alisson said, as quoted by the Daily Mail. "We started ahead. [But] from the moment we started to miss some passes - some silly passes that we are not used to missing - I think the team lost a little confidence in the match. I think the opposing team also gained confidence. I genuinely believe that Liverpool are gonna bottle it. "We have to be prepared to fight everything," he added. "All the adverse circumstances that come our way. "I believe our team is on the right track. Now we do not have much room for hesitation. If we want to be champions, we have to win everything from now on." Manchester City can temporarily move to the top of the Premier League table on Wednesday when they take on Liverpool's local rivals, Everton. Traditionally, the Toffees have a good record against Manchester City at Goodison Park, winning 18 of their 37 top-flight matches. Despite losing their last home match to City, Everton have only dropped points at Goodison Park to the reigning Premier League champions five times since the takeover of the Manchester club by Mansour bin Zayed Al Nahyan.